Searching for a bail bond agency to help you get your friend or relative released from jail can be a difficult task, especially if you have never had to do this before. With all the bounty hunter and bail bond shows on TV it may seem like this industry is cutthroat and folks in the business are only out to make a buck. In reality, there are many businesses that genuinely want to help people during this difficult time, but you have to know how to find them. Look for the following characteristics to make sure that you're getting help from a bail bond agent who truly cares about you and your loved one who is locked up. One of the most important things to look for when searching for a company is that they have been working in the business for many years.. This represents that the operators of the business have built a trusting relationship with their community. A locally owned and operated agency is more apt to provide personalized customer service, unlike a corporate chain that employs people under strict guidelines. By using a locally owned agency you will become part of their family, not just another client. Since arrests don't always happen at the most convenient times it is important that the agency that you select is available at all times of the day in order to answer questions or to begin the bail process. Always find out what the rates are that the bail agency is offering. While they may have a sign hanging outside stating "Low rates," it is wise to actually find out what those rates are prior to signing any paperwork. If it is more than the standard 10 percent, move on. Posting bail for someone likely isn't something you budgeted for. For this reason a quality bail agency should offer you several methods of payment and payment plan options. When you need a bail bond don't just pick the first agency you find, make sure you choose one that will give you the fast and discreet service you deserve. 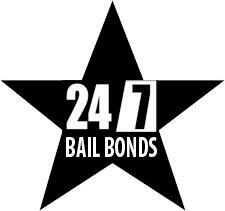 For quality bail bonds in Marin County reach out to 5 Star Bail Bonds. For more than 50 years we've been providing quality bail bond services throughout our region. If you'd like to learn more about posting bail in Marin County give us a call day or night at (415) 479-4800 and we'll gladly answer your questions.